Recently, in collaboration with our friends at Pro Evo & You, we sat down and had a quick chat with Natchai and Kevin, the pair in charge of handling the community of Shingo 'Seabass' Takatsuka's new project; PES - Association Football. Let's kick things off right away and get straight into the action. Nice and simple, please introduce yourself to our readers. Natchai: First of all, thanks for reaching out to us. We love how active and engaged the PES community is, and we'd like fan sites to become even more involved. So, my name is Natchai, and I'm the Junior Community Manager for PES - Association Football. I'm of Belgian nationality so I'm pretty excited about all the enthusiasm for my nation's players right now: Hazard, Lukaku, Fellaini, etc. Kevin: Hi I'm Kevin; I'm the more senior but less good looking Community Manager of the two. Since Natchai brought up nationality, I'm British - English specifically! Which team/s do you support in real life? Natchai: The team that I've stuck with ever since I was about 12 or 13 years old is Manchester United. I consider myself to be just a regular fan though, as I don't know all the details and stuff like that, but I like the way they play and how you really feel a sense of team spirit unlike in any other team. Kevin: I'm surprised no one has actually asked us this question yet! Thankfully for team unity, I'm also a “Man Red” (to use our licensing jargon) fan and have been for about 20 years. Although generally, I have a side that I'm fond of for each division and I'll always support any British team in European competition. What do you think is more important; scoring goals or getting clean sheets? Natchai: I stick to the motto that 'your offence starts in your defence'. While I don't think clean sheets should be the primary focus, I believe in a good balance between the two. Most of all, I like to see exciting football where players and teams dare to take a few risks. Kevin: We see a lot of goals in the game as people tend to play very offensively, but the cost of that comes in goals conceded. I would also say that the best PES-AF teams all have a highly optimised defence. Who had the idea to create a “PES” game for Facebook? Kevin: PES-AF is under the control of Shingo "Seabass" Takatsuka in Japan. I would assume that, as a result, it was his decision or that of his immediate team. We're not privy to information like that however. You are the community managers at PES-AF. What are your tasks? What do you have to do? Natchai: Our job consists of being there for the community. So that means we prepare the daily posts for our forum, Twitter account and Facebook page. We also offer support through all these channels AND the e-mails, which, with an update like the June 17th one, can take up a lot of time and isn't always that fun. Other than that, we feedback to the developers of the game itself with what the community is talking about, what they would like to see, what they're not happy with… and also a lot of behind-the-scenes stuff that would just bore you guys! Kevin: Ultimately we try to communicate what one side is saying to the other; be it Konami-to-Community or Community-to-Konami. Who should play PES-AF? And is PES-AF a game for every PES fan? Natchai: First of all, I don't believe it's a game for every PES fan. Kevin: For a start, it's a managerial game which isn't going to appeal to everyone. Natchai: You don't get to be the hero on the pitch. You get to be the driving force behind that hero which I think appeals to a certain audience. Our platform is pretty limited in comparison to consoles or standalone games but we do the best with what we've got. PES-AF can be enjoyed, I think, with a slightly more mature audience than PES players themselves because there's only the managing section. We don't discriminate though and hope every PES fan gives it a try, as long as they understand that the games are not related... nor are they the same. Using THREE adjectives, how would you describe PES-AF? Kevin: I'd imagine your adjectives would depend on how successful you are on any given day! However, I'll go with: Entertaining, Thoughtful, Changeable. Do PES-AF players who pay 'real-life money' have an advantage over the players who don't? Also, what advantages do players get if they spend money on the game? Natchai: By 'advantage', I guess you're referring to winning League matches and taking home trophies? Yes, they do have the same chances. There is an obvious benefit for people who pay for their players - of course, they can build up a slightly stronger team and have easier access to resources to keep that team on. However, it's been proven time and time again that the ‘stronger’ team doesn't always win. There is a real skill element involved and not every single statistic that makes up whether you win or not is shown. Slowly some of our older players are finding that out now. We, of course, also monitor any gap there might be competition-wise between paying and non-paying players, but the benefits for paying players are there. Which is only natural I guess. Kevin: Remember, if you buy a Gold ticket in the game, that doesn't mean that you'll automatically get an ideal player from it. Besides, there are degrees of optimization and you'll find that lower level players can operate better in certain formations/positions. If you'd like a direct comparison though, someone complained to us the other day that players who pay will always be stronger. In the same paragraph, this same player stated that, without making any store purchases, they had won the League six seasons in a row and multiple cups during that same period. These two statements don't exactly match! Are PES-AF users rewarded when they invest in promising youth players? Natchai: They are! Not too long ago, we introduced the ageing system in which players who you renew the contract for and are below the age of 23 at the time of the renewal will improve in the Off-Season. The system still needs tweaking though, as having a hard cap at 23 is a bit unrealistic and maybe we should balance the way they improve a bit more... maybe have it a bit more staggered. Changes are coming, but that's all we can say for now. Are there any elements you want to integrate into PES-AF with a future update? Natchai: There are lots of things we would like to add. We're talking about lots of things... one of the more obvious ones would be to have more control during matches - such as choosing substitutes. Kevin: It [choosing substitutes] seems an obvious addition but you'd be surprised by how many things something like that affects. How do you keep things fair for players in different time-zones if you get an advantage from watching your game live? Natchai: There's a lot we can't discuss right now. But keep your eyes peeled for any other major updates. What do you have to change for PES-AF when PES 2014 is released later this year? Natchai: As far as I'm aware, we won't have to change that much, considering that the games themselves aren't really linked to each other. Player and team databases will of course need to be updated and we might get some shinier graphics and sounds, but as for any real gameplay changes, I don't believe there's much to be done. Kevin: To re-emphasise, there are differences between the two. We get quite a few messages about how a player's stats are different from PES 2013 - but they are different games doing different things, so it won't be a 100% match. Do you work together with the developers and community leaders of PES 2013 / PES 2014, or does every team just concentrate on their own game? Natchai: The teams are very separate, however, we do sometimes have contact with each other. Adam Bhatti, who is the community manager for the console games, has been very open and supportive with us. One of the things we got out of contact with each other is the PES-AF billboards in the PES 2014 E3 demo, which was a big surprise for us. It almost felt like we were there! But we weren't. Do you play PES 2013, if so, on which console and which is your favourite team to play with? Natchai: We do play PES 2013 on occasion here at the office... for research purposes of course! We have some PS3s here so that's the platform we use. My favourite team to play with is, of course, Manchester United. Kevin: I'll happily lose using any team! By which you've probably just guessed my PES skill level! 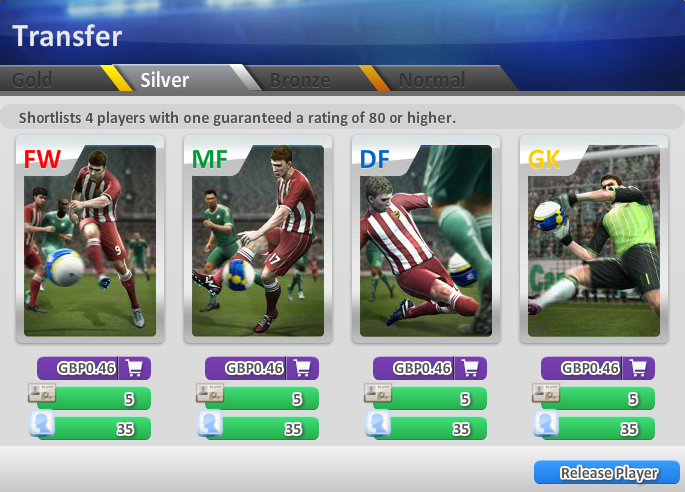 If you could share ONE tip with PES-AF users, what would it be? Natchai: Adapt, adapt, adapt! We'll push further updates in the future which might force you to re-think current strategies, and that should be a welcome challenge for you. This isn't a static game for which you'll have to buy a new version sometime down the line, we'll update this one so drastic changes can - and will be - made from time to time. Kevin: Some managers gain success and then go “that's it, I've done it”, don't change anything beyond that point and then are surprised when they stop winning and start to complain. You need to always be developing and thinking ahead. Think about the future of your squad, don't get caught in the trap of a player being yours and then never wanting to change. The last sentence is yours. Do you have a final message for our readers? You're all a very passionate, active and engaged community. We can't say enough how much we appreciate that! We encourage you all to voice concerns, suggestions and ideas in a constructive way with respect for all other community members - and us as well. We'll defend your wishes, always, but sometimes what people want actually isn't for the good or longevity of the game. I'm sure you'll understand that. So whenever an update doesn't benefit you personally in the short-term, please bear with and trust us that it's been made for the sake of the game as a whole. We're all working to make it a better experience for you. A big thanks to Natchai and Kevin for taking the time out for this Q&A - as well as the free 350 coins package! If you haven't started your PES-AF career yet, you can do so now by logging into Facebook and clicking here.